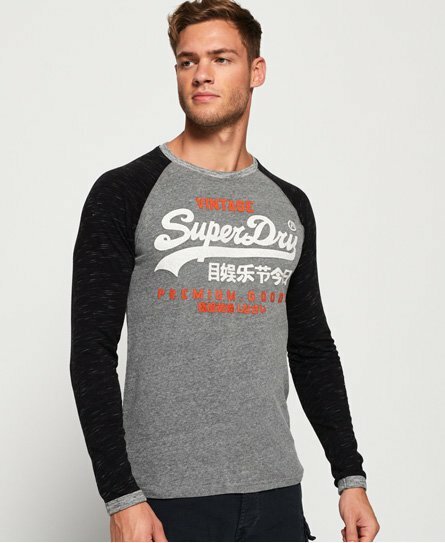 Superdry men’s Premium Goods raglan long sleeve t-shirt. This crew neck tee features the iconic Superdry logo across the chest in a textured print with contrast colouring on the arms and cuffs. This will pair well with jeans, making it a stylish and comfortable everyday item.